After their impressive debut in 2010 'Neo Gothic Progressive Toccatas' comes another slice of pipe organ heaven from this Italian band. Its strictly a trio format (although two different drummers are used) and all 'instrumental' over its 7 tracks and running time of 50 odd minutes. I'm not a classical music lover so this is as close to actually listening to that genre I will ever get. For those familiar with the debut this is not quite as 'raw'. I think they have tried to make the sound a bit softer and introduced synths into the mix which if I recollect correctly were not present on the debut. At times it reminds me of the Japanese trio Ars Nova especially on the more energetic sections. Overall there is not much I can condemn (or would want to) and much to be admired. Its a real joy to have this music and a band such as this in existence. I go with a 5 star rating and let other people pick holes in it ( if they can find them). 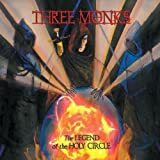 Three Monks return with the follow up to their amazing debut work, and `The Legend of the Holy Circle' is loaded with grand, haunting and overpowering medieval classical atmosphere mainly built around endless pipe organ. Fans of keyboard dominated progressive acts such as Sweden's Par Lindh Project, Japan's all-girl trio Ars Nova and especially the darker styled Italian bands such as Goblin and the Bartoccetti projects Antonius Rex/Jacula will really want to make this their next essential purchase. `The Legend of the Holy Circle' is apparently something of a concept piece, although I've yet to figure out the theme or narrative just yet! Even the band members credit themselves as Julius, Bozorius, Placidius and Ursinius, but I'm not sure if there's any clues there! Paolo Lazzeri (Pipe Organ, synthesizers, compositions), Maurizio Bozzi (Bass, Sound Engineer), with both Roberto Bichi (tracks 3, 6, 7) and Claudio Cuseri (tracks 1-2-5) are on drums, and within the first few minutes, you'll be transported to a time of ancient stone castles, chilly mists over lonely hills, solemn churchs, private meetings for secret societies, esoteric symbols and devilish deals. Lead track `The Holy Circle' definitely brings to mind Ars Nova, loud and heavy overwhelming dizzying gothic synths swirling around booming intimidating pipe organ, pitch black dirty bass mumbling away in the background beneath a storm of the wildest drums smashing through some unpredictable tempo changes. A truly delirious and manic opening that will have you gasping for air! `Into Mystery' opens with some nice stalking bass creeping up, Grand organ shattering your senses and stomping down on top of you, the whirling aggressive Moog throughout taking on such a spectral ghostly glee that I had to check to credits to see if this section wasn't played by a demon inhabiting the body of Rick Wakeman! At nearly ten minutes `The Battle of Marduk' sinks into the mire and grime of the deepest dungeon, sometimes comparable to the scratching, clawing overwhelming sinister organ driven menace of Antonius Rex and Jacula. Thrashing militaristic drumming, wild tempo changes that grab you by the throat, and even a cautiously soothing electric piano passage in the middle to catch you off guard. The bass here has a murky, stuffy sound that really hammers home the oppressive and suffocating mood of this gloomy work, and the final half of the track turns absolutely chaotic and berserk. Thankfully `The Rest of the Sacred Swarm' is a lovely and darkly romantic solo duel organ piece, full of wistful contemplation and longing, truly a sublime reflective moment of respite to catch your breath. `Rieger' is all stomping, imperial pomp and intimidating regal glorious majesty, with frequently lovely near-whispering moments of low-key organ and the softest of percussion, only to have these moments of ease blasted away seconds later. Like a serpent, the bass slithers it's way around the background of the piece, as if whispering promises and lies in your very ear. Several grand and triumphant themes throughout this one. The frequently uptempo and nimble `The Strife of Souls' moves through chasing, manic-like tension and fear to even more heroic themes of glorious victory, always a constant strident drumming charge moving the piece forward, the gentlest of tiptoeing vibraphone footsteps over lulling placid organ. Solemn, somber, filled with purpose, and always exhilarating. 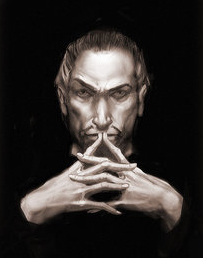 `Toccata Neogotica (Epilogue)' is like a ghostly waltz, so grab your gothic lady and head to the ballroom floor. 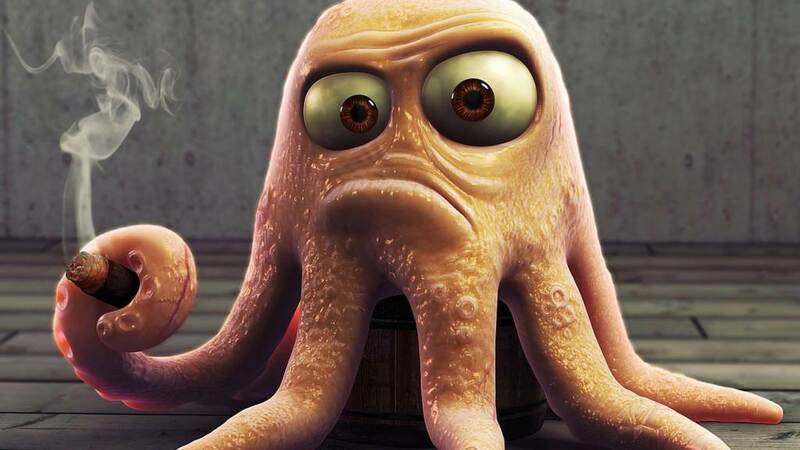 All eyes on you, you steal the spotlight, some guests look on with plotting and jealous eyes, others in quiet awe. Organ crashes down like an anvil, taking to listener up in glorious divine rapture. A breathtaking vigil mass to end this intoxicating work on. Available on both CD and LP from Black Widow Records, `The Legend of the Holy Circle' is more thrilling instrumental music for prog fans in 2013, as well as yet another Italian stunner. Truly timeless music, and along with Sophya Baccini's Arcadia's theatrical gothic symphonic opera `Big Red Dragon', L'Albero del Veleno's promising debut `Le Radici del Male' and the latest Antonius Rex work from late last year `Hystero Demonopathy', it makes for yet another triumph for the dark and uneasy corner of the Italian progressive scene. This is my first review after some weeks of inactivity and I'm happy to start with one of the recent excellent releases of the Black Widow Records label. This album is my first taste of the Three Monks as I have missed the debut, and my general impression is of a sort of "dark Rick Wakeman", but really better than many of the releases of that very prolific master of keys. In this darkness there's more rock and listening better, the "Italian" factor adds a difference. The Wakeman's impression is caused mainly by the use of the Pipe Organ with its very distinctive sound. Think to Criminal Records to have an idea. Well, the Wakeman think ends here. There's a lot much than just pipe organ in this album. The second track, in example, would be a perfect fit for a horror movie, nothing less than most famous bands like Goblin. Wanting to list possible influencers, the "trio" lineup made of keys, bass and drums and the tracks composed by "Julius", the keyboardist can remind to ELP. 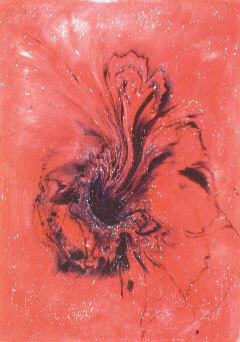 Another mention goes to the "classical" mood of "The Rest Of The Sacred Swarm", a very powerful title, too. It's clearly inspired to the Albinoni's "Adagio", but its weird sweetness reminds me to the grotesque Azatoth of the old Canterbury band Arzachel. 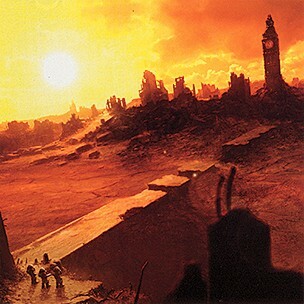 There are "goblins" also in the following track "The Battle Of Marduk". For who doesn't know, Marduk is one of the most ancient obscure Gods of the history: son of Enki, who later became the most important God in Babylon, identified with the planet Jupiter. Not bad for a devil, isn't it? The track is split in two different parts: one very dark and heavy, followed by another very dark but more ambient oriented, mainly driven by the bass. Perfect for Dario Argento. Rieger is probably a tribute to the Austrian Organ-maker, but it's still very dark. If this album has a problem is that the mood doesn't change much. This means that the occasional listener may find it boring after a while, but if it's listened with the attention that it deserves, it's rewarding. "The Strife Of Souls"sounds very Emersonian. Some passages are reminding of Works (Pirates), but let me say that the music is not derivative. It's sometimes similar because of the particular instruments used, but unlike many other bands around the world they can't be considered a clone of anybody. The final "Toccata" is the less dark track of the album. It's a canon, likely inspired to J.S. Bach. An excellent closer for an album which is balanced between evily darkness and classical mood. Strongly suggested to fans of Goblin, ELP, Wakeman and Organ driven music in general, regardless the historical period it belongs to. The first time I played this I had a huge smile on my face, and the more I have played it the bigger it has got. Three Monks are comprised of Paolo Lazzeri (pipe organ), Maurizio Bozzi (bass) and Roberto Bichi (drums) and together they are channelling bombastic Wakeman with some of the finer elements of Emerson. The use of a pipe organ throughout definitely provides an additional element of power and majesty, almost Wagnerian in it's concept. When I started listening to it I was listening for similarities between this and ELP/Wakeman, but while this has obviously been influenced by the darker side of those bands, this is very much a band in it's own right. Both Keith and Rick have employed pipe organs (and synthesised versions of the same) to great effect throughout their career; and when I saw The Nice some years ago at the Royal Festival Hall the show commenced with Keith playing that establishment's organ (with plenty of the stops pulled out), so there are bound to be some similarities, but Paolo doesn't use any other keyboards at all and Maurizio and Roberto are here in a supporting role. There are no vocals, and no overt flashiness from anyone, just a concentration on producing the best neo-Gothic Romantic progressive classical rock that they can. Three Monks (ironically, a duo) hails from Italy and have some really different mix. In fact, it's something between the Gothic sound of Antonius Rex and the Symphonic side of Emerson, Lake & Palmer. Three Monks is formed by the bass of Mauricio 'Bozorius' Bozzi and the organs and pipe organs of Paolo 'Julius' Lazzeri. Now, that's exactly the difference in their sound, the use of pipe organs and a big Gothic approach in their music, even when they play classical parts a la ELP. The Legend Of The Holy Circle (2013) was released by Black Widow Records in a simple Digipack, but because the album is instrumental I don't think this is a bad thing as all the info we need are there. This is a really interesting release full of 'church' music if you like, a feeling of really being somewhere on the past in some monasterium. A really must have if you're a fan of Antonius Rex and Emerson, Lake & Palmer. "The Battle Of Marduk" is even tenser. It seems to describe a raging battle against the devils summoned from the other-world. What kind of devils? Well, Marduk is the Babylonian name of a late-generation god from ancient Mesopotamia associated with water, vegetation, judgement, and magic... Scenes from films like The Mummy or The Scorpion King could come to mind while listening to the different passages of this complex track full of dark energy. Next comes the long, complex epic "The Strife Of Souls", a magnificent track that every now and again reminds me of Emerson, Lake & Palmer and drives you through the many different moods and situations of a terrible conflict between Good and Evil, with angels and demons fighting all around. The brilliant "Toccata Neogotica #5 (Epilogue)" closes the circle evoking the immense force of destiny and waking you up from your uneasy dreams... On the whole a great album that everyone is free to interpret as he likes but that is absolutely worth listening to! Italian band THREE MONKS was formed back in 2009, with a core membership consisting of composer and organist Paolo Lazzeri and bassist Maurizio Bozzi. They released their debut album "Neogothic Progressive Toccatas" on Drycastle Records in 2010. "The Legend of the Holy Circle" is their second full-length disc, issued by Black Widow Records in 2013. Dark, dramatic organ-driven music of the kind that wouldn't be amiss as the soundtrack of a vintage horror movie with an abandoned castle as the setting is what Three Monks present us on their second album "The Legend of the Holy Circle". In many ways a similar production to their debut album, but with an expanded scope and sound due to the inclusion of additional keyboards. Highly recommended to just about anyone with a soft spot for the church organ used as the main and dominating instrument in an instrumental, progressive rock context. 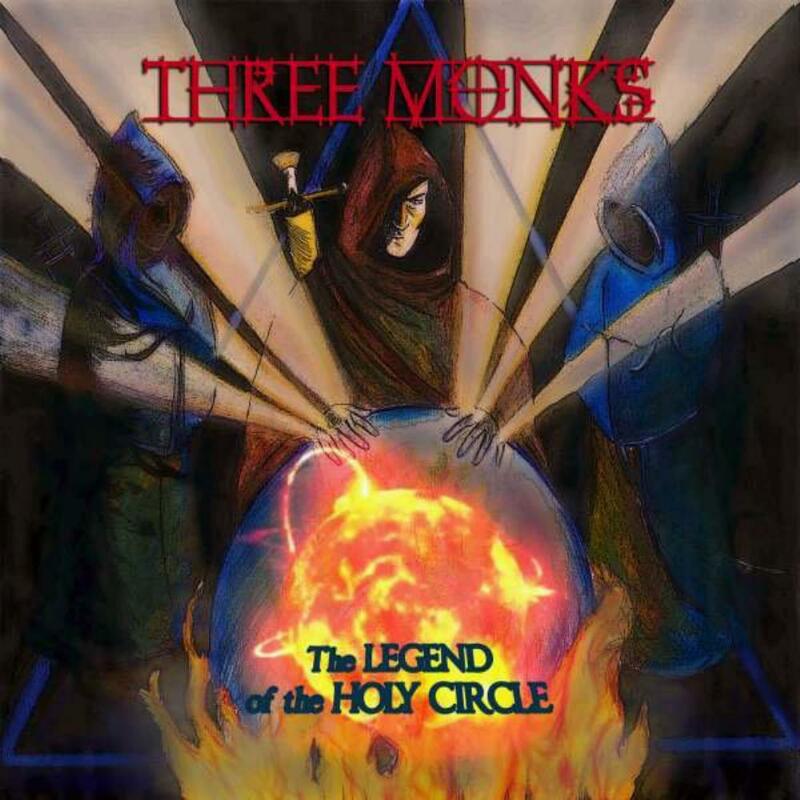 Post a review of THREE MONKS "The Legend Of The Holy Circle"